Six new phones hoping for Christmas success? The LG Victor - didn't HTC already use that name? The rest of LG's 2011 smartphone line up has been leaked to a tech site, complete with renders of four upcoming Android handsets, a Windows Phone phone and mention of a the mysterious LG K.
First up is the LG Prada K2 – another tedious fashion phone? Perhaps not, as it's rumoured to come with a dual-core processor, Android 2.3, dual cameras (1.3MP on the front, 8MP on the back) and a 4.3-inch display. 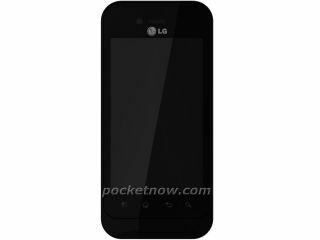 The LG Univa (a code name, we hope), is a little lower in the smartphone gene pool, with an 800MHz processor, 3.5-inch HVGA screen and a 5MP camera – basically the LG Optimus One bumped up a grade. It's all gone a bit HTC in the phone name arena, with the LG Fantasy supposedly LG's next Windows Phone handset. It should come rocking the juicy Mango OS and Microsoft's minimum hardware specs – 1GHz processor, WVGA screen and dedicated hardware keys, among others. Back to Android, the LG Victor is a Gingerbread-powered handset with a mooted 3.8-inch OLED display and front- and rear-facing 5MP cameras. The LG E2 is set to be a fairly basic entry-level handset – it's thin on the ground, spec-wise but it certainly looks like a small-screened, cheap and cheerful handset. And finally, the mysterious LG K, the only handset to come without a render and with a model number – P930. Could it be the first smartphone to come with a true 720p HD display? The rumours, which point to a second-gen NOVA display, suggest so. It's clear that LG has plenty up its sleeve for the second half of the year, and, although names and specs can change between now and launch, it seems to be a good spread of low- to high-end handsets. We'd expect the bulk of these handsets to launch in September, just in time for the lucrative Christmas market – and maybe just in time to go head-to-head with the iPhone 5. It's certainly shaping up to be an interesting autumn in the smartphone world.